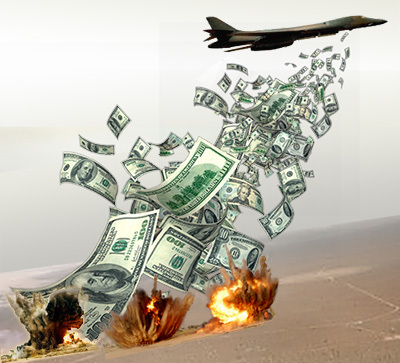 The War Party has an unlimited budget: not only are their coffers filled with huge donations from weapons-makers and other crony capitalists – they also have access to the US Treasury. So we’re being out-spent by a margin of a million-to-one – but we’re not out of the running! Because the War Party needs billions to sell a lie – while we just need to get out the truth. But we can’t do it without your help – your financial help. Although we make do with less, we still need some resources to get the peace message out. And that’s where you come in. Your tax-deductible contribution helps level the playing field, and gives us the ammunition we need to keep up the fight. Please contribute today. In the first six days of our fund drive, you contributed $12,318. Please help us reach our goal to keep Antiwar.com running for the next quarter.